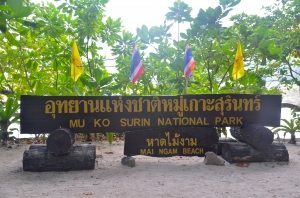 Koh Surin is generally open from mid-November through the end of April. 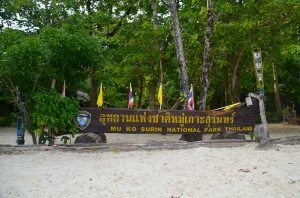 The National Park is closed to visitors during the monsoon, so specific opening and closing dates vary from year to year depending on the weather. Specific travel information can be requested with tour operators. 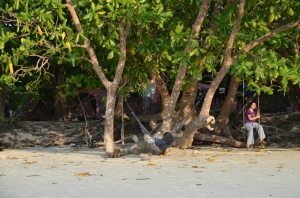 The journey to Koh Surin starts at Kuraburi Pier, where speedboats depart at around 08.30 from the National Park Office and across street at the Greenview pier. Below, you can find travel information details on how to book boat tickets and tours. 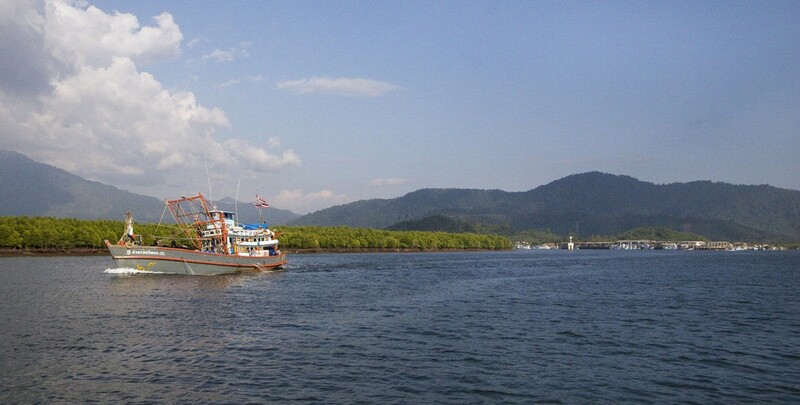 For a Google Map of Kuraburi pier, click here. 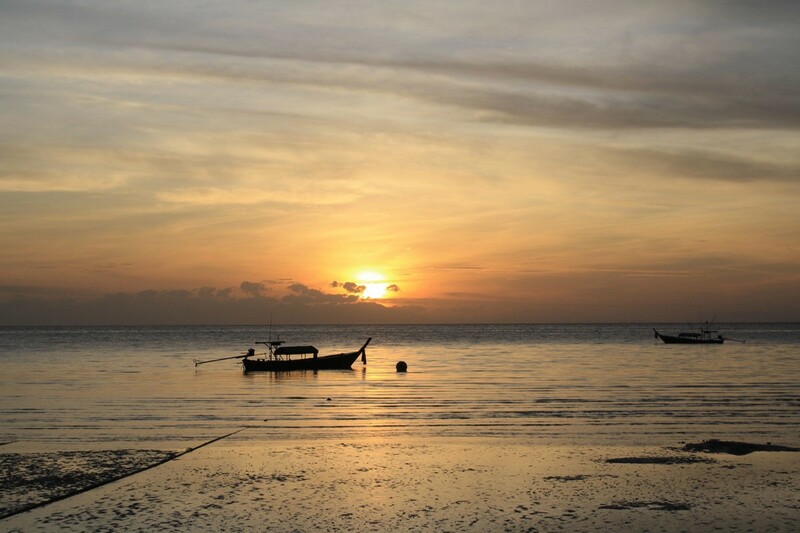 Visitors can spend the night before or after their visit to Koh Surin in nearby Kuraburi town, and book transfer to Koh Surin from there. Click here for more information about where to stay in Kuraburi. 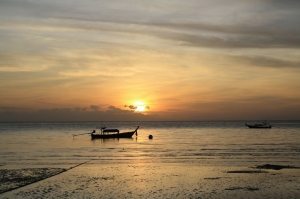 Dive trips to Koh Surin mainly depart from Tap Lamu pier near Khao Lak, and a number of tour operators in Khao Lak sell day trips to Koh Surin as well. 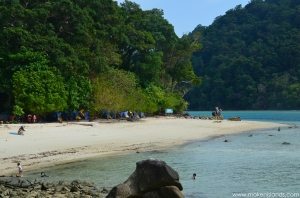 Two main areas accommodate guests – the National Park headquarters, where all boats arrive and depart, and Mai Ngam Bay. Both areas feature a restaurant, bathroom facilities, a souvenir shop, snorkel-equipment rental and a tourist travel information office. There is cell-phone reception around north Surin, but no internet connection. 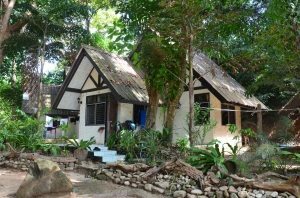 Very rustic bungalows can be found at the headquarters, and both beaches have tents and bedding that can be rented from the National Park. Bedding includes a (very) thin mat, a sleeping bag and a pillow. If you book a package through a tour operator, Showers and bathrooms are shared with other guests. The first campground is located at the National Park head quarters and offers accommodation on a camping space and in bungalows. 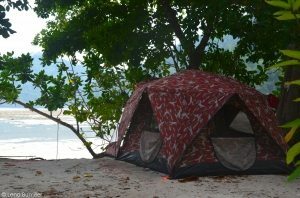 On most days it is possible to rent a tent or a bungalow on the spot. 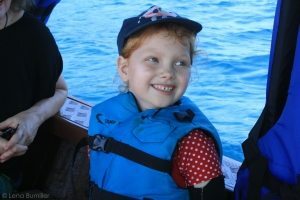 All activities, snorkelling tours and boat transfers can be arranged at the tourist information centre. 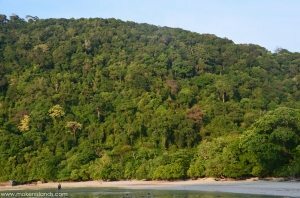 The other beach is Mai Ngam Bay, the beautiful forest bay, located in the west of Koh Surin Nua. 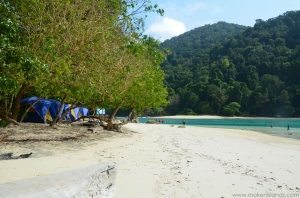 Transfers to Mai Ngam bay have to be arranged via the National Park headquarters. 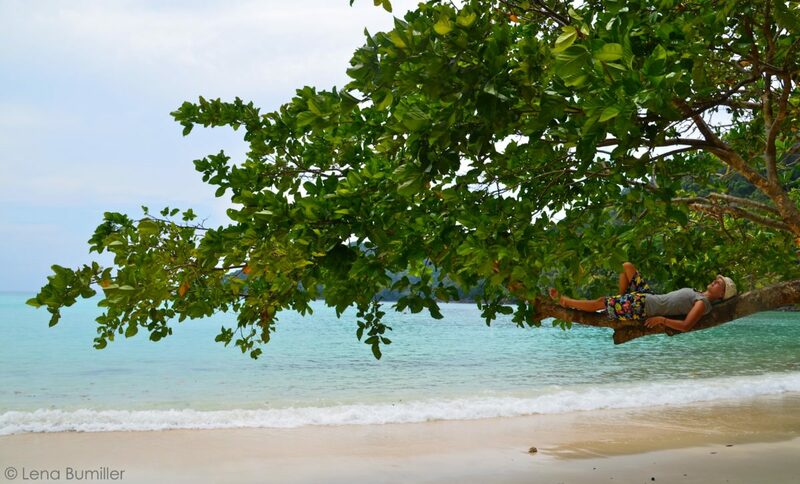 Mai Ngam bay offers camping accommodation in the shade of the trees alongside the beach. Boat tours and snorkelling trips can be organized at the tourist travel information centre. 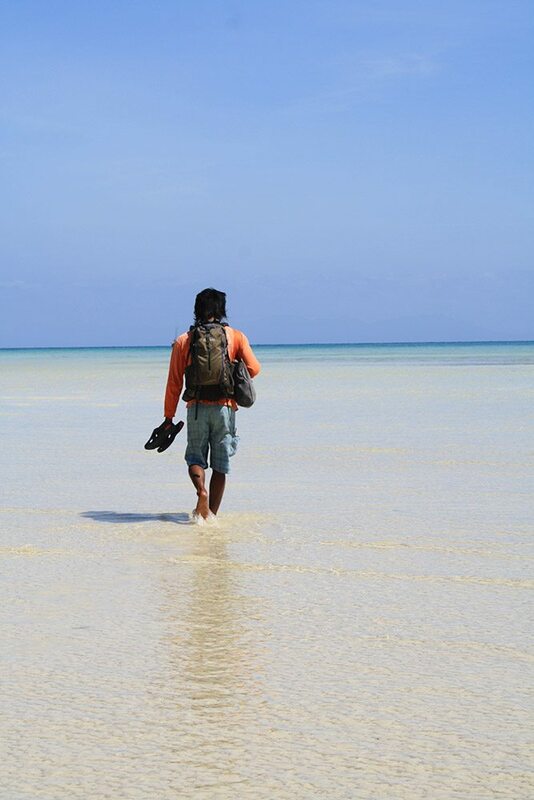 It is recommended to bring sun protection, long sleeves and a hat. Towels are not provided by the national park, but some tour operators provide them. Bring mosquito repellent in case you plan to walk in the forest. 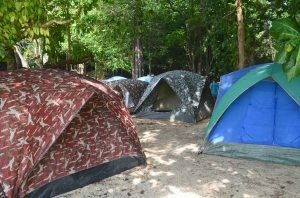 You are welcome to bring your own tent or snorkel equipment but both can be rented from the National Park or tour operators. Tickets purchased at the National Park office are with Sabina Tour. The following tour operators are recommended based on their cooperation with the Moken Tourism Team and their support of the Tour Operator Guidelines. 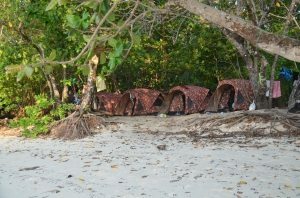 Tours include transfer, guide, activities, and meals for day tour along with big tents for overnight. Andaman Discoveries – offering boat tickets and Moken-led overnight tours, Andaman Discoveries is well-known for organizing community homestays and volunteering in Southern Thailand. Kuraburi Greenview Travel – a locally-owned tour operator offering safe and high quality transportation and snorkel tours to the Surin Islands. 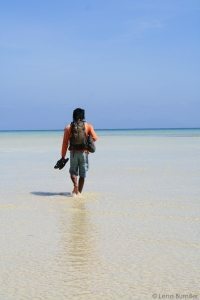 Wicked Diving – a responsible dive center and tour operator, offering ethical tours in the Andaman Sea. If you are visiting with a different tour operator, you can request a visit to the Moken village, and make sure that you ask for enough time. For further suggestions and information, visit N-ACT’s recommended businesses or email us via the contact form below. For pictures of the activities and tours, visit our Gallery.